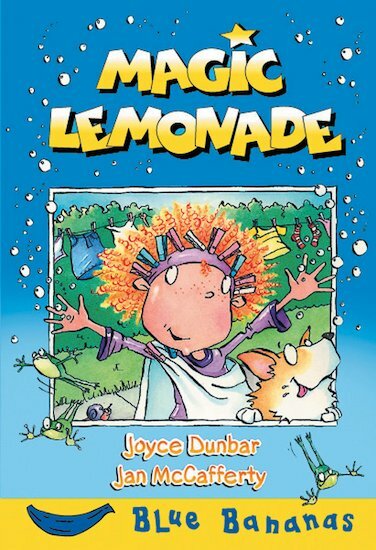 Wearing her tablecloth gown and clothes-peg crown, Zoe looks just like a queen – but her friends won’t be convinced without some magic lemonade! This charming tale from the popular Blue Bananas series comes with colour artwork throughout – an ideal step up from picture books. Joyce Dunbar was born in Lincolnshire and in her time has been a nanny, a waitress, a market stallholder and a drama teacher. She has since settled happily into the role of best-selling author of such titles as the international best-seller, ‘Tell Me Something Happy Before I Go To Sleep’ (Transworld) and the Mouse and Mole series. Her previous work for Scholastic, The Love-Me Bird, was described by the Independent on Sunday’s Amanda Craig as ‘. . . the funniest, wisest and most delightful picture book I’ve seen for ages. It’s a gem’. She grew up in Lincolnshire and now lives in a converted shoe factory in Norwich.